Last week due an acute kidney infection (actually God Only Knows), I had to be admitted to Mumbai’s Hinduja Hospital on emergency. “Your creatinine and potassium levels have gone real high – Dr Modak”. We will hold for a day but I will have to put you on a few cycles of dialysis” My doctor Dr Almeida said. Dialysis is the artificial process of eliminating waste (diffusion) and unwanted water (ultrafiltration) from the blood. Our kidneys do this naturally. Some people, however, may have failed or damaged kidneys which cannot carry out the function properly – they may need dialysis. In other words, dialysis is the artificial replacement for lost kidney function (renal replacement therapy). It’s like treatment of polluted waters. Next night, I was inserted a shunt (catheter) in my neck and in the morning was brought to the AKD (Artificial Kidney Department). Mr. Phatak who administrated this unit over past twenty years was moving across the bays with all the smiles and humor giving instructions to the technicians on “setting the targets etc.” Most patients were having a good time – some were listening to music or watching their favorite TV show or reading Bhagwat Geeta. Some women had come in a group and were waiting to go for shopping for the Diwali sale right after the dialysis. I was about to be “wired” to one of the German machines, and just then Mr. Phatak received a call on his mobile phone that I be taken to a special (and secret) room for dialysis and that I will not be dialyzed in the “common area” meant for “common people”. I was soon moved to another floor through an elevator that had a password like in the movies of James Bond. I had no clue where I was getting wheeled. The room I was brought in was different – instead of German machines, there were Chinese machines. That worried me a bit (Later I was told that these special machines were gifted by the Chinese Premier to our PM in the recent meeting in Goa and was a joint project between India and China – led by none but my Friend Professor). And indeed there he was! I saw my Professor Friend standing in between the “bays” of the secret room waiting for me. “Oh Dr Modak, I just learnt from Dr Almeida that you are to be dialyzed. I then thought of bringing you here so that you come to know some of the latest innovations I am currently working on – All pertaining to India’s sustainability”. Professor said this with some pride. I knew about Professors deep research on ultrafiltration, nanotech and biomimicry and his numerous visits to Beijing over past five years. But he had not published – obviously on instructions of the PMO. Well, Professor said, “All these “patients” – who are mostly bureaucrats in the Indian ministries, are really not “kidney affected” but are those who are simply affected by what I call as “policy paralysis” – This policy paralysis is leading to major obstacles in the vision of our PM on India’s Sustainability. Certain “toxic” constituents in their blood (some special ketones, undesirable enzymatic by-products and some variants of creatinine) make these otherwise “powerful” and “intelligent” bureaucrats, indifferent, petty minded and short sighted. They think of themselves first and are least bothered about the National interests – especially on sustainability. Policies they work on are often outdated – and even if they come up with good ones, these policies do not see any implementation. PM is really upset with such a dismal situation. How can India progress? Machine 1 focuses on integration of Resource and Residues – i.e. practicing Circular economy. In India, resources are allocated and managed by the Line Ministries and responsibility of addressing residues is left to the weakest ministry that is the Ministry of Environment & Forests & Climate Change. This is not going to work. We need Resources Management Act and not just Water (Act), Air (Act) and the Environmental Protection Act. The resources and residues piece must act in tandem to bring in the circular economy. Machine 4 stimulates Sustainable Finance including considerations to climate change e.g. promotion of renewable sources of energy, building pipelines of programmatic projects with Entrepreneurship while capitalizing on climate change adaptation funds and innovations in GHG mitigation. The fifth and the last dialysis machine is meant for actioning Awareness, Education and Training in Environmental Management – an area most needed but highly neglected. All this was really inspiring and transformational for bringing sustainable governance in India and removing the so called “obstacles” created by India’s bureaucrats – But I was wondering about the Chinese interest. May be secretly, Chinese want our PM to follow long term development goals (that are actually ideal) but then ensure that in the process we do not “prosper” in the conventional sense. As a result, the Chinese economy will surpass India’s economic growth and influence or even take over the world economy. This will happen over the short term of course – but then who cares? We run 5 year elections. I decided to express my concern. Someone tapped on my shoulder. “Which machine type would you like to join Dr Modak? The Professor was asking. “Oh let him go back to Mr. Phatak’s hall meant for common people as of now – I just want to lower his creatinine and not revolutionize India” Dr Almeida said with a smile and asked the ward boys to wheel me down. We have been married over 30 years now. But while being together we never had an opportunity to express our deep love and affection or to say words of love in peace and in serenity. Human life today is so occupied and complex – you live together but you often do not intersect with each other with your emotions that you want to cherish. I tried to say my special feelings to my wife many times – but always found so difficult, artificial and sometimes irrelevant to say after our three decades of happy living together. After my brief illness recently, we decided to take a break and spend holidays at a place that is quiet – just to relax and unwind. 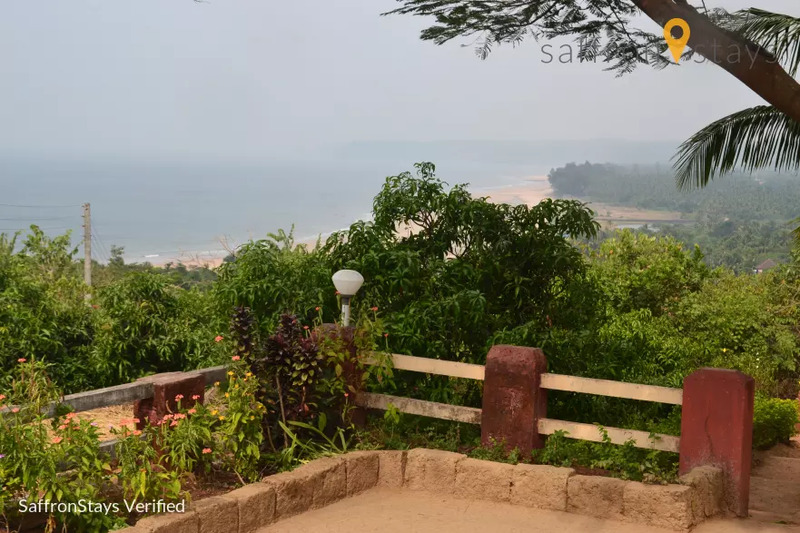 We decided to go to the beaches of Guhagar in Konkan – – a place to be with nature, stroll on the beaches and watch the birds that harbor, especially the Kingfisher. Guhagar is situated on west coast of India between Sahyadri mountain range and Arabian Sea. Guhagar means cave house in local language. It’s a scenic town and a perfect tropical paradise. Long lonely beach with silky white sand is Guhagars major attraction. Guhagar is also known for bird watching. We chose a cottage on a hillock overlooking the white sandy beaches. The cottage was an old bungalow with two rooms and a verandah with iron grill overlooking the beach. A place with no hustle bustle and rather discrete. We reached the cottage from Mumbai after some six hours of road journey. It was already dark. We checked in after a 5 min of steep climb on the hillock as no cars were allowed to the cottage. I woke up feeling fresh. It was around 4 in the morning. I didn’t want to disturb my wife and so I decided go to down to the beach and take a walk. There was a sound of chirping of the birds slicing the silence occasionally. The beach was deserted until I noticed two tall figures floating on the waves. I noticed a kind of hallow around them. When I reached closer, I realized that they were the Lords of Wind and the Seas. The Lords smiled at me. The Oriental dwarf kingfisher also known as the black-backed kingfisher is found in the Konkan region of Maharashtra. This is a small, red and yellow kingfisher, averaging 13 cm in length, yellow underparts with glowing bluish-black upperparts. A widespread resident of lowland forest, it is endemic across much of the Indian subcontinent and Southeast Asia. Apparently, the winds and sea have a role in naming kingfishers in taxonomy after a classical Greek myth. 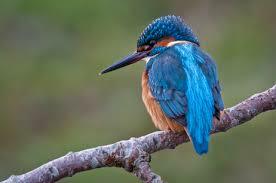 The first pair of the mythical-bird kingfishers was created from a marriage of Alcyone and Ceyx. The story goes that Aeolus, the ruler of the winds, had a daughter named Alcyone, who was married to Ceyx, the king of Thessaly. Ceyx was drowned at sea and Alcyone threw herself into the waves in a fit of grief. 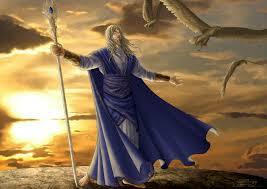 The other gods, in an act of compassion, made them into birds, thus restoring them to their original seaside habitat. 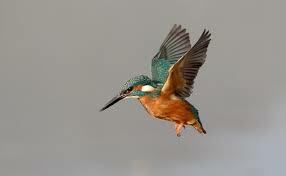 Thus, instead of drowning, Ceyx was transformed into a kingfisher bird and was carried to her husband by the wind. It is believed that the birds have power to calm the sea. I did what the Lords told me to do and transformed my wife into a Kingfisher. We then flew together towards the beach – floating in the still air and flying close to the waves. We made the chirping sounds to share our feelings – pure and simple – direct but subtle – in the silence of the morning. These sounds communicated more than thousands of words of emotions– that I was holding suppressed for years. This experience of releasing emotions was so blissful. On our way, we saw some trees on the mountain side of the beach where there were many kingfishers like us perching. We decided to rest there for a while and be a part of them. Now the sun was about to rise and I remembered that the Lords had warned me to return to the cottage in time to become human beings once again. 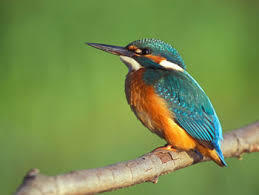 But after some thought, we decided not to return – and continue to remain as the kingfishers on the beaches of Guhagar. The Lords smiled. I was sitting at the terrace of my billionaire friend at his 101st floor apartment in Mumbai. It was a Sunday morning. He had called me and my Professor Friend for a breakfast. Did I ever tell you about this billionaire friend of mine? He had wealth more than Tata, Birla, Jindal and Mahindra all put together. His daily receipts of cash across his various offices in the World were more than the annual income disclosed in India’s recent income tax amnesty scheme – embarrassing Hon Union Finance Minister Arun Jaitley. He was always looked with great respect by all the ruling Governments and those interested to rule. A man so rich, influential but at the same time so simple and discrete. Such people of invisible power could only be found on 101st floor. He had just returned from Delhi after a secret and a high level meeting with the PM. The meeting was presided by the PM himself with Union Finance Minister Arun Jaitley, Union Environment Minister, Mrs Nirmala Sitharaman, Minister of State for the Ministry of Commerce & Industry, as well as a Minister of State for Finance and Mr. Anil Madhav Dave, Minister of Environment & Forests & Climate Change (MoEFCC). The topic was remediation and rehabilitation of contaminated lands in India. Mr. Piyush Goel, Union Minister of Power had also joined the meeting – a bit late though. Mr. Prakash Javdekar, then Minister of State for MoEFCC had informed the Lok Sabha (India’s Parliament) in 2015 on the status and action on remediation of contaminated sites. PM wanted to take stock of the situation and accelerate the program prior to the national elections. “MoEFCC operates two programmes for rehabilitation of abandoned contaminated sites and dumps cross the country. One is a project for rehabilitation of 12 contaminated areas in eight States having multiple sites is being implemented through Central Pollution Control Board (CPCB) at the cost of Rs 8050 million. Forty per cent of the funding will come from National Clean Energy Fund (NCEF) while the remaining 60 per cent are contributions are the contributions State Governments. The eight States where the project is being implemented are Kerala, Madhya Pradesh, Odisha, Tamil Nadu, Uttar Pradesh, West Bengal, Rajasthan and Gujarat. 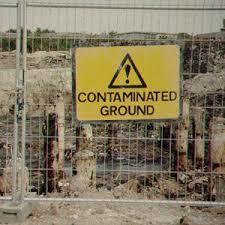 The project activities include assessment of contamination, preparation & implementation of remediation plans for each of the selected sites, and monitoring of 50 pre-selected contaminated sites. In the implementation phase, consultants have been selected for preparation of detailed project reports for remediation of 8 sites. The initial grant of Rs.100 million to CPCB is being put to use in preparation of Detailed Project Reports. I thought the Professor was right. I was involved in the early formulation of CBIMP in 2002 with World Bank and had repeated warned the World Bank and MoEF that this program was simply not going to “sell”. There was no national policy on remediation and rehabilitation – There was absence of of risk based standards and technical guidelines and no thought given on the estimation of costs of “legacy pollution” and the potential involvement of the private sector. Although the importance of the above enabling framework was recognized to an extent in the Project Appraisal Document (PAD) of the World Bank, the general apathy at the MoEFCC (something not surprising), poor acceptance and understanding at the State Pollution Control Boards (SPCBs) of this project with maze of procurement and bureaucratic hurdles – brought the project to significant delays. Through Finance Bill 2010-11 a corpus called National Clean Energy Fund (NCEF) was created out of cess on coal produced / imported (“polluter pays” principle) for the purposes of financing and promoting clean energy initiatives, funding research in the area of clean energy or for any other purpose relating thereto. An Inter-Ministerial Group (IMG) chaired by Finance Secretary approves the projects/schemes eligible for financing under the NCEF. These projects include innovative schemes like Green Energy Corridor for boosting up the transmission sector, Jawaharlal Nehru National Solar Mission (JNNSM)’s installation of solar photovoltaic (SPV) lights and small capacity lights, installation of SPV water pumping systems, SPV Power Plants, Grid Connected Rooftop SPV Power Plants, pilot project to assess wind power potential etc. In 2012, NCEF was permitted to be used to finance TSDFs for hazardous waste (not for remediation as such). Minister Goyal wasn’t quite happy with such arbitrary allocations and “fitment” of TSDF and remediation component under clean energy. My billionaire friend was listening. He nodded to our observations. After the briefing and discussions, PM had requested him to put some 100 billion Rs. as a “private sector involvement”, set an example to industries and help the Government. No CSR and no NCEF – he said emphatically. And we are not interested in the World Bank unlike Jayaram Ramesh. Bank just wants to “experiment” their half-baked ideas from Harvard and MIT on countries like us. He came directly to the point. He then whispered to the PM. “The National Green Tribunal (NGT) is already breathing down our neck slapping orders for “compensation”. How the NGT arrives at these costs is debatable, but the news headlines are screaming on this issue already. Jaitley is right – Professor said while getting up and extinguishing his cigar. It could even be 2% if you looked at economic impacts (health and natural resources) of hundreds of city landfills or rather dumps that are leaching and emitting pollutants every day. “So is the Government going to borrow money from you” I asked a stupid question in closing that my billionaire friend did not answer – as if he never heard. Have some corn flakes imported for you from Australia he said instead. Of course Sustainable Development Goals (SDGs) was the principal agenda, but the other agenda included climate change. United Nations Secretary-General Ban Ki-moon had convened a special “High-Level Event on Entry into Force of the Paris Agreement on Climate Change” on 21 September as a follow up to the Paris Agreement on climate change. The high-level event of the Summit provided an opportunity to countries to publicly commit to joining the Paris Agreement before the end of 2016. On the advice of the Professor, the Indian Government ratified and made commitment. The hope was, we as Nations United, accelerate the growth of clean energy and help achieve the SDGs to strengthen international stability and security, save lives and improve human well-being. The event also included “Third International Conference on Financing for Development”. UN Secretary General appealed for more involvement of the private sector in the “business of sustainability” to help achieve the Future We Want. When the Summit ended on September 27, I suggested Professor that we go out to some nice restaurant for dinner. I was sick of eating at the 10th floor food café every day, standing in long queues for the food that was “diplomatic” (i.e. without spice) and subsidized in both price as well as quality. Professor was however desperate for a good coffee. “Let us do a coffee at Pennylane first” He said. 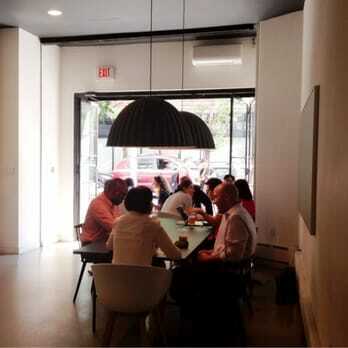 Pennylane is perhaps one of the best coffee shops in New York just a couple of minutes walk from the UN building. The Coffee beans they use are stumptown and of very high quality. Apart from the great variety of coffees, the interesting part of Pennylane is the chalk board outside – where people write “quotes of the day”. The quote of that day was “It’s the Future We Don’t Want. Have a Great Coffee Today!” I thought the writer must be one of the frustrated delegates attending the UN Summit. We asked for the latte or “flat white” where milk is perfectly steamed to the right temperature (with latte art to top it off). We ordered bitter cookies to go along. We couldn’t get chairs near the window (to get some sunlight) and so started looking for a table under the large lamp shades. All tables were occupied but we found one table where one Old Man was sitting with a long beard and a cap. “Can we join?” Professor asked. The Old Man nodded. Professor lighted his cigar. He started updating me on the global politics of sustainability. The hidden agenda and of course India’s interest. “I really don’t know what’s in our future” he said at the end rather solemnly. “All talk my friend”. I could sense a deep frustration in Professors voice. “But I am taking up the task of modelling of the world and India with sophisticated tools and databases now – Modelling could be an answer to shape our future” He said this with some conviction. The Professor went to the loo. The Old Man on the table was listening. I looked at him again. Soon I realized that the Old Man looked like Michel de Nostredame (aka Nostradamus) who was a 16th-century French philosopher. Nostredame had predicted many tragic events throughout history, including the Assassinations of the Kennedy brothers, the rise of Hitler, the defeat of Napoleon, and also the unfortunate 9/11 terrorist acts. 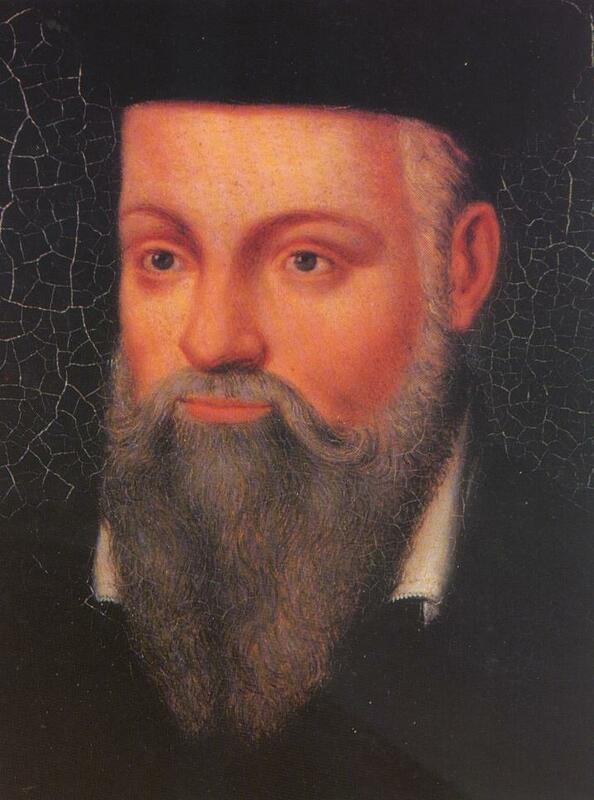 Nostradamus studied astrology and various “occult” sciences and used those to predict the future. We don’t have many seers these days who can really predict the future. In his writings, Nostradamus mentioned unusual weather patterns and natural cataclysms / disasters that will intensify further than they already have. He described the events as where ‘Water shall be seen to rise as the ground is seen to fall underneath’. Today, we are already seeing snow in the springtime in many parts of the world. Year 2015 also saw the most frigid temperatures ever. “Oh” I did not know what to say to something so impossible. I must be hallucinating. “Well, I come here occasionally – I love the coffee here and the conversations on the Tables – especially the UN type” The Old Man said. We started talking. I asked him about his predictions for 2016. He said that many explosions will occur around the Middle East area and planes will be falling from the sky. The Middle East has already seen drastic changes and civil unrest for the past 4 years. The Arab region has intensified civil wars in over 10 countries, including in Tunisia, Egypt, Bahrain, Somalia, Libya and Syria. Petrol and Oil in the Gulf States in the Middle East will be on fire. Before coming to Pennylane Coffee, Nostradamus had visited Baba Vanga. Baba was from Bulgaria, blind and died in 1996. 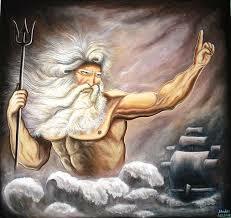 Baba had predicted that global warming would become a mainstream issue back in the 1950’s. She had said “cold regions will become warm … and volcanoes will awaken”. “All this will come true” said the Old Man (or Nostradamus?) while getting up. “So, there is no point my friend to discuss the SDGs. The future is different and rather bleak and something you cannot control”. I could see the confidence on his face when he made these statements. “He could well be right and so Baba Vanga” I said to myself. The Old Man walked outside quietly. Professor just returned from the loo and before I could tell him about my encounter with Nostradamus, he opened his laptop. “Oh, I must show you something that will simply amaze you. I have with me now a World Model that provides a scientific window to our future. This model has been developed by the Millennium Institute. Its earlier model called Threshold 21 is now Integrated Sustainable Development Goals. I have downloaded Version 1.2 of this model called as Integrated Sustainable Development Goals planning model (iSDG). The iSDG is a comprehensive simulation tool that generates country-specific development scenarios to show the implications of policy on a country’s progress towards the SDGs. It covers all the 17 Goals, and facilitates a better understanding of the interconnections of the goals and targets, in order to develop synergetic strategies to achieve them. The model’s structure can also be expanded to support the analysis of other country-specific development issues beyond the SDGs” He sounded so excited. But after talking to Nostradamus, I was not impressed and in fact was quite skeptical and even dismal. 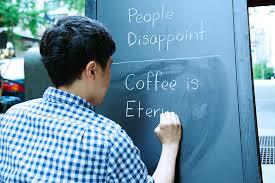 “I have another proposition Professor” I said this while sipping the last bit of Latte. Professor stared at me. He saw me serious. He ordered for another round of Latte.